Dubai: If a bounced cheque or bank case is keeping you from availing of the amnesty in the UAE, this is your chance to settle it to avail of the newly extended leniency so you can go home before Christmas or for the new year. 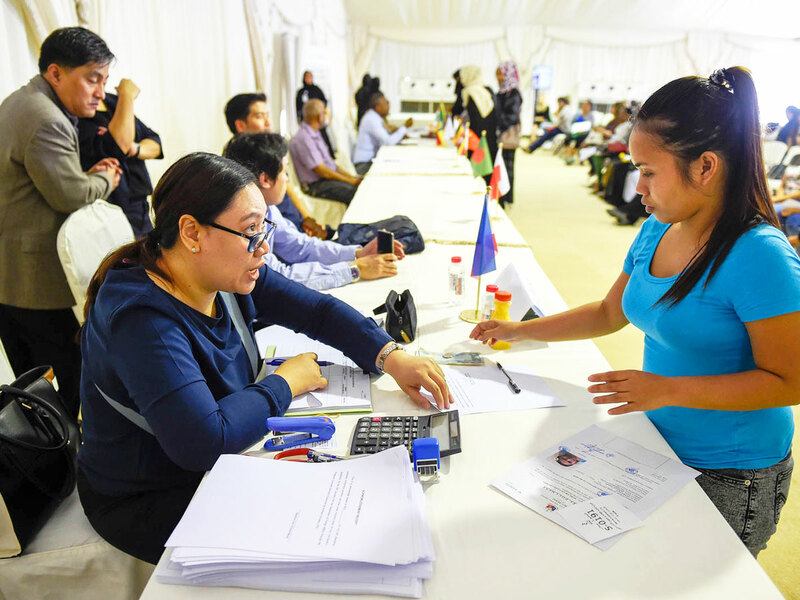 Philippine Consul-General Paul Raymund Cortes said the UAE amnesty programme, which was extended for the second time this month, will give illegal residents the chance they very much need in order to start anew in their home country. The amnesty period began on August 1 and ran until October 31 but was extended for the whole month of November. The leniency was again extended until the end of December to accommodate illegal residents who were not able to avail of the four-month amnesty earlier. Cortes said the consulate is willing and able to assist and guide amnesty seekers with bounced cheque cases or rental disputes. “We’ve had 10 success stories of our legal retainer helping out our compatriots with bank or cheque cases by negotiating with financial institutions to work out a settlement amount to resolve these issues. It makes it easier for the ones in question to resolve their bank cases thereby making them eligible to avail of the UAE amnesty programme,” Cortes said on Tuesday. Cortes clarified, however, that the Philippine government cannot pay for the outstanding personal loans or credit cards of amnesty seekers but only provide legal assistance. Illegal residents who want to settle loans may secure money from their loved ones back home or from financial institutions in the Philippines with lenient requirements. Staying in the UAE without any proper plan as to how they will settle their dues will only compound their problems and overstay fines. As of November 29, as many as 7,398 Filipinos have been granted amnesty in the whole of UAE since it started on August 1. More than a majority or 65 per cent of the amnesty grantees chose to stay by getting the six-month jobseeker visa or converting to employment visa because they already had job offers. Some 2,732 were repatriated over the past four months. The Philippine government shouldered their exit fees, lifting of absconding fees, air ticket and cash assistance of $100 (Dh367). Cortes said very few illegal Filipinos availed of the amnesty in November. He hopes those who need it would take advantage of the amnesty extension this time. 1) Write to your bank and request for available settlement options of your debt. Ask the minimum settlement amount for one-time payment in black and white or choose the option that you can best stick to. 2) Once the bank sends you a settlement agreement, complete with the bank’s letterhead, stamp, etc, settle the amount according to the terms in the settlement agreement. Ensure that the settlement letter has a provision that states the bank will withdraw the case against you after settlement.